I knew very little about this case before reading the book. 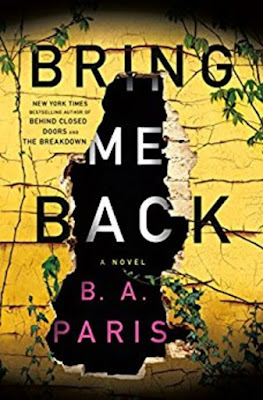 I read a lot of true crime but some cases make me sick and this one I knew enough about to make me think I didn't want the depth of a book to tell me more. However, I am very glad to have read it. Mr. Sullivan has done an excellent job with a very sensitive subject matter. Some reviews have called the book graphic, or, specifically, the writing graphic, but that's not exactly the situation and especially why I appreciated the author's tact. Yes, the data is graphic but 1) there are no crime scene photos and 2) the graphic details are simply listed information taken directly from police or court documents. The author hasn't taken any creative license in that area. 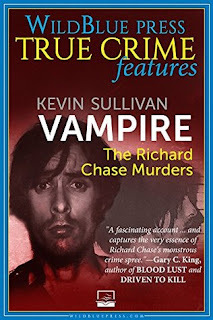 Sullivan has done an exceptional job of providing direct quotes from various sources and weaving them together with his own sparse narrative that concentrates heavily on the victims, both dead and living. Sullivan also makes his main discussion throughout the text to be the difference between mental insanity and legal insanity. There is never any question that Richard Chase was mentally insane, but the question his trial brought to the surface was that a person can be insane and legally culpable at the same time. An absolutely horrendous case for everyone involved: first and foremost the victims and their families, but also those involved in the investigation, Chase's own family and even Chase himself, that he wasn't locked up in a psychiatric ward, when they first had him and he, himself, knew he was sick, years before he killed anyone. The book is short but thorough; anything longer than this would have been sensationalism. Great read!